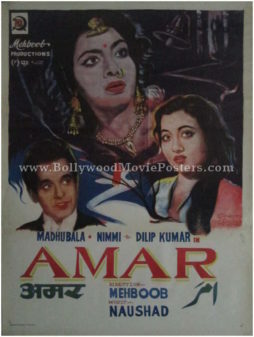 Hand drawn Bollywood poster for sale of the Hindi film, Amar (1954). 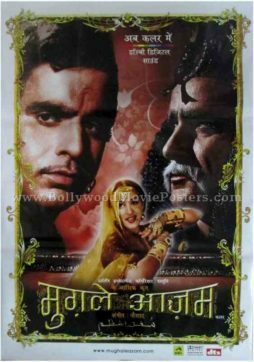 This is an actual surviving vintage Bollywood poster for sale of the 1954 black and white Hindi film that was directed by legendary filmmaker Mehboob Khan. 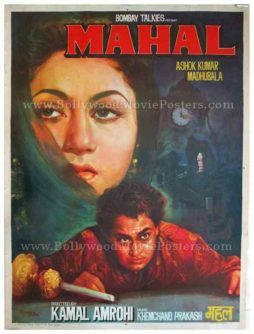 Amar starred two of the biggest superstars of Bollywood – the Tragedy King of Indian cinema Dilip Kumar along with the Marilyn Monroe of Indian cinema, Madhubala. 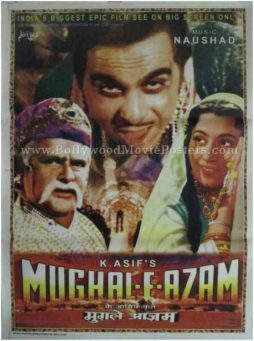 The film also starred actress Nimmi. 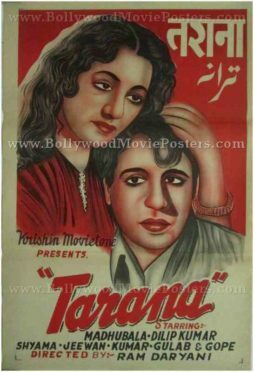 A large hand drawn portrait of actress Nimmi is seen on the top. 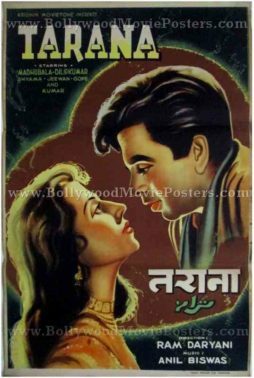 Smaller quirky portraits of Madhubala and Dilip Kumar are seen below. The title of the film appears in a striking red font against a white background at the bottom. 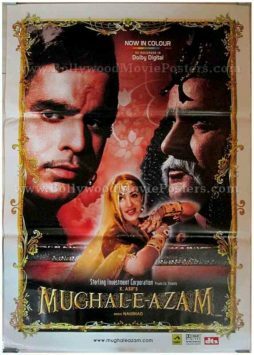 Very rare original old Bollywood poster of the 1957 black and white Hindi film, Gateway of India for sale. 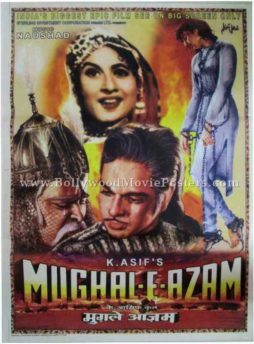 This is an actual surviving vintage Bollywood poster of the 1957 hit Hindi film that featured the “Marilyn Monroe of India,” Madhubala in the lead role. 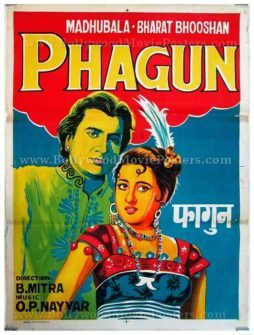 Printed and circulated somewhere in the late 1950s, this old Bollywood poster was originally designed for publicity of the film but never ended up being used. 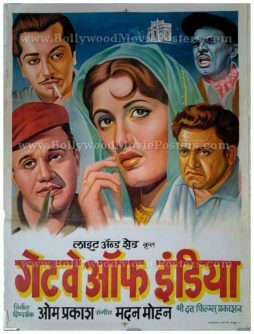 This artistic hand painted Bollywood poster features a stunning portrait of Madhubala in the center. 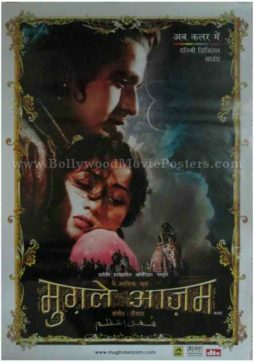 A small hand painted rendition of the Gateway of India monument is seen at the top of the poster. 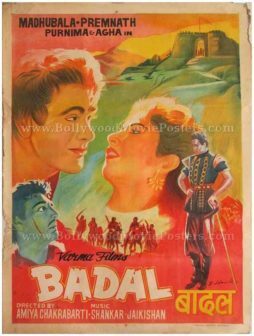 Smaller portraits of the supporting actors of the film are seen surrounding Madhubala’s portrait in the center. 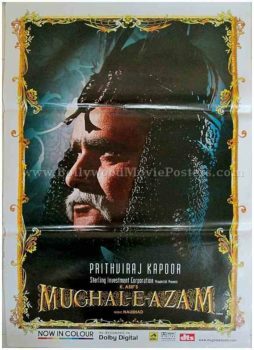 Typography in the poster appears entirely in Devanagari Hindi. 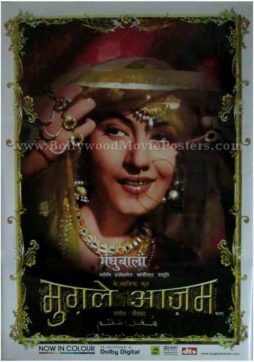 Gateway of India is a 1957 black and white classic Hindi movie which featured the most beautiful actress in Bollywood, Madhubala.